1862 Commercial Real Estate and Properties in Brisbane are listed in 9 categories. We have 2100 Offices for Sale & Lease , 1803 Industrial Warehouses for Sale & Lease , 1359 Retail Shops for Sale & Lease , 331 Development Lands for Sale & Lease , 331 Medical and Consulting Properties for Sale & Lease and 297 Other Commercial Properties for Sale & Lease . 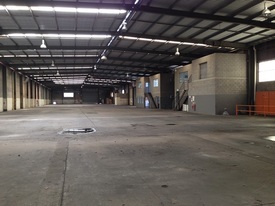 1,921m2 clear span high bay warehouse area Includes 1,767m2 of warehouse / workshop area Includes 154m2 of office and amenities area over 2 levels Two 5.6m wide motorised roller doors to access warehouse area Large 3 phase power supply to building Multiple 3 phase power points throughout Plenty of room to set down multiple 40ft containers for unloading Two street access and with ample parking close by Rent includes the outgoings per month Close to major roads for easy access to Brisbane city or the Port area Available now. Call now to arrange an inspection approx Please contact the listing agent for more details by clicking on the link above. Disclaimer: Ray White has not independently checked any of the information we merely pass on. We make no comment on and give no warranty as to the accuracy of the information contained in this document which does not constitute all or any part of any offer or contract by the recipient. Prospective purchasers / lessees must rely on their own enquiries and should satisfy themselves as to the truth or accuracy of all information given by their own inspections, searches, inquiries, advices or as is otherwise necessary. No duty of care is assumed by Orchid Avenue Realty trading as Ray White Surfers Paradise Commercial divisions toward the recipient with regard to the use of this information and all information given is given without responsibility. Approx. 460m2 clearspan warehouse Approx. 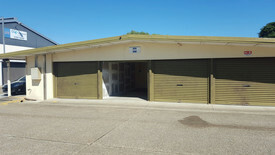 35m2 air conditioned office 2 roller doors 3 phase power available Mezzanine area (approx. 50m2) Fully secured 130m2 concrete hardstand Male & female amenities Located just off the "Magic Mile" Moorooka is located 7kms south of the Brisbane CBD. It is easily accessible via public transport, with numerous bus stops throughout the suburb and also Moorooka Railway Station. Approx. 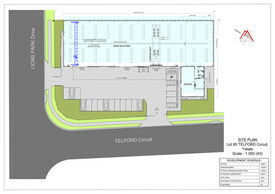 1,247m2 building comprising approx. 1,000m2 warehouse & approx. 247m2 quality office space Approx. 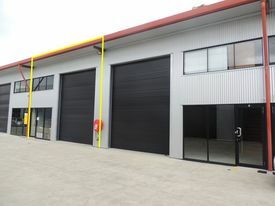 6.1m internal height 4 roller doors 3 phase power connection ready Ample onsite & on street parking Flood free location Acacia Ridge is less than 12 radial kilometres south of the Brisbane CBD. This location is the thriving heart of the south side’s industrial precinct and offers easy access to all the major arterials. With consistently low vacancies and tightly held properties, Acacia Ridge continues to be on the top of the list when considering a move. Approx. 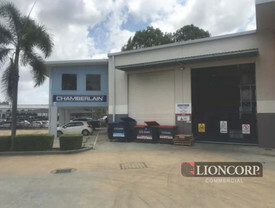 23m2 industrial unit available Communal parking on site Shared toilet facility Opposite of onsite Café 300m to Yeerongpilly railway station Flood free location Yeerongpilly is a suburb of Brisbane, Australia. It is eight km south of the Brisbane central business district. Prime position with excellent access to all major transport routs Near new tilt slab construction with electric container height roller doors 7.5m clear span warehouse, approx. 349m2 Quality ducted air condition for office space, approx. 85m2 Suspended ceiling with recessed light Office to be repainted and re carpeted prior to occupation 3 phase power, roof installation and ventilation Handy B double truck access Male and female amenities Inspect today with Marketing Agent! 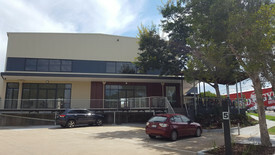 Mansfield is uniquely located, less than 12 radial kilometres south of Brisbane’s CBD and is a tightly held industrial precinct. 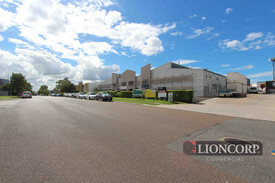 With immediate access to the Gateway motorway and close proximity to the Pacific & Logan motorways, Mansfield is a sought after industrial hub. 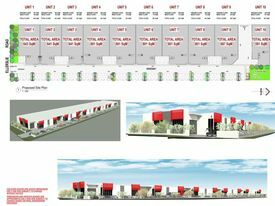 163m2 warehouse 3 phase power Amenities onsite Kitchenette Allocated car parks Seventeen Mile Rocks is a suburb of Brisbane, Australia located 11 kilometres (7 mi) south west of the Brisbane CBD on the Brisbane River. The major road through the suburb is Seventeen Mile Rocks Road which links the suburb to Jindalee and the Western Freeway at the western end and Oxley at the eastern end. 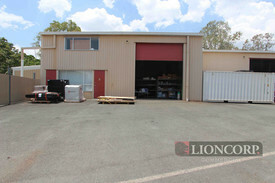 Ray White Commercial Northern Corridor Group are pleased to offer 9/6 12 Dickson Road, Morayfield for lease. Comprising of 212m2 warehouse space and 90m2 mezzanine office with air conditioning Located opposite Meat City, Morayfield Medical Hub and adjacent to Morayfield Shopping Centre offering high exposure to passing traffic Front and rear electric roller doors Internal amenities Ground floor reception area Large on site carpark For further information or to arrange an inspection, please contact Aaron Canavan or Chris Massie.